We have grown to be one of the largest independent regional airlines in the United States. We strive to express our passion for simplicity and service by listening and responding to customers' needs and delivering extraordinary service with a spirit and style of teamwork that celebrates our customers, our communities and our legacy of MOCHA HAGoTDI (Make Our Customers Happy and Have a Good Time Doing It). On October 16, 1989 N1376G took off from Provincetown Airport for Boston, piloted by Dan Wolf, Cape Air's CEO and Founder. 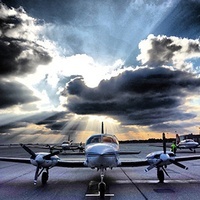 What began as three flights a day between P-Town and Boston has grown to over 500 flights per day, a fleet of 75 Cessna 402s, 3 Britten-Norman Islanders and 2 ATRs, with over 735,000 passengers traveling every year to our 44 destinations in the US, Caribbean and Micronesia. 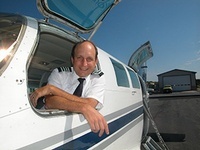 For the Cape & Islands, we offer fast, frequent flights from Hyannis, Provincetown, Martha's Vineyard and Nantucket. Fly from the Cape & Islands to convenient destinations, including Boston’s Logan Airport, TF Green Airport in Providence, New Bedford and Westchester County Airport in White Plains, NY. Our NY Connection gives travelers the opportunity to fly from Hyannis, Provincetown, Nantucket and Martha’s Vineyard to Westchester, with the option of taking our limo service from White Plains to Midtown Manhattan. Our sister airline, Nantucket Airlines, offers up to 15 year-round, daily flights between Hyannis and Nantucket. The fast flight to the island means traveling for business, a day-trip or a getaway is not only convenient, but economical.